Ms. Janney is the Senior Vice President of Finance and Accounting of MCR. 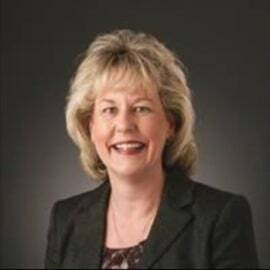 She joined the company in 2017 and has 34 years of accounting, financial reporting, investor reporting, operations and transactional experience for private equity, investment management and commercial real estate firms. Prior to joining MCR, Ms. Janney held senior executive roles with USAA Real Estate, Goldman Sachs, Behringer Harvard Opportunity Funds, Hawkeye Partners and the Hampstead Group. In these positions, she was responsible for all aspects of accounting, financial reporting, and portfolio management for private and public commingled investment funds, joint ventures, REITs and separate accounts. Ms. Janney’s responsibilities also included serving on investment committees and advisory boards, making presentations to audit committees and boards of directors and overseeing the reporting and due diligence requirements of the funds’ institutional, family office and high net worth investors. She received her B.B.A. in Accounting from Baylor University and is a Certified Public Accountant in Texas.